The University of Aveiro (UA) is one of the most dynamic and innovative universities in Portugal. It is attended by approximately 15,000 students on undergraduate and postgraduate programmes. The UA has achieved a significant position amongst higher education institutions in Portugal. It is one of the top universities based on the quality of its facilities, the strength of its research and the excellence of its staff. The UA’s mission is to create knowledge, increase the availabilty of knowledge through research, education and cooperation for the benefit of people and society; to undertake the project of global development of the individual; to be active in the construction of a European research and education community; and to promote a model of regional development based on innovation, scientific and technological knowledge. Carlos Fonseca (cfonseca@ua.pt) is an Associate Professor with Habilitation in the Biology Department of UA and Integrated Member of CESAM. He is a member of the UA Doctoral School board, Director of the Applied Ecology Masters and coordinator of the Wildlife Research Unit in the Biology Department. He has supervised 13 PhD and 42 MSc projects. 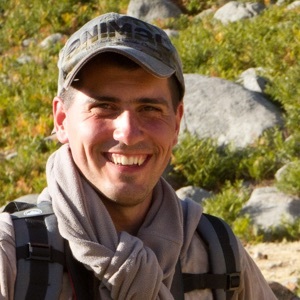 His research interests focus on the conservation and management of wildlife and ecosystems. Among his main research interests are mammalogy and the effects of habitat fragmentation and global climatic changes upon biodiversity. He is the author/co-author of 15 books and 10 national and international book chapters, 116 international, peer-reviewed papers and several papers in widely distributed popular science magazines (e.g. 2 papers on National Geographic). Carlos Fonseca is also author/co-author of more than 319 communications in national and international scientific meetings. 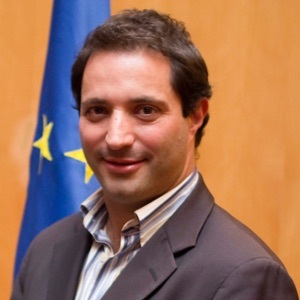 He participated as principle investigator on several projects funded by the European Commission (e.g. : FEDER, LIFE+, ERASMUS+), CNRS, FCT; ANCCT, Calouste Gulbenkian Foundation and DGRF/AFN/ICNF or other funding agents (Municipalities, NGOs). He is an external evaluator of R&D projects for the “Czech Science Foundation”, the “Swedish Environmental Protection Agency” and fellowships of Portuguese Science and Technology Foundation. He participated in the organization/scientific committee of 17 international and 16 national congresses, and was scientific supervisor of 32 advanced training courses in wildlife research. 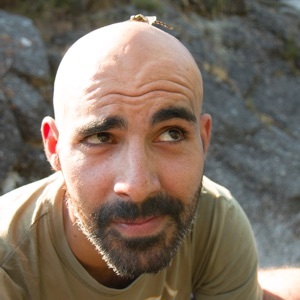 Carlos Fonseca is also: founder and co-editor of the journal Wildlife Research in Practice; associate editor in the journals Mammalian Biology, Animal Biodiversity and Conservation and Galemys; and reviewer in 18 ISI journals. Carlos Fonseca has also organized and participated in several Ciência Viva activities, aimed at the school community and the general public. Particularly relevant examples are the activities “On the track of the deer (Cervus elaphus) in Lousã Mountain” (annually since 2002 with an impressive success), “Schools in the conservation of threatened coastal ecosystems” (1999) and “Searching for mammals... in Arouca Geopark” (since 2013). Milene Matos (milenamatos@ua.pt) is post-doc researcher at DBio-UA and CESAM. Her main research areas are wildlife conservation and management, forest ecology, ecosystem restoration, science communication and environmental education. She has nine years experience in wildlife monitoring and assessment, namely in the scope of human activities related threats, in ecology and wildlife research, training, teaching, and science communication. She is author/co-author of several ISI papers; outreach science journals/magazines articles; several books aimed at promoting natural values, such as the children’s book Elves of Bussaco National Forest (2012); and presented over 60 communications in science meetings. She has experience in assessing the public perception of science activities and in international projects and partnerships for the conservation of nature, highlighting BRIGHT Life + ongoing project. She is a certified trainer and has been delivering training or environmental education actions in schools and for the general public since 2005 (e.g. Ciência Viva, Schools’ Science Week, guided visits in protected areas, training action for teachers or staff of natural areas), being also the scientific coordinator of educative programmes or environmental education actions in several protected areas (e.g. Bussaco National Forest) and Portuguese municipalities, for instance making the liaison between school programmes and extracurricular activities. 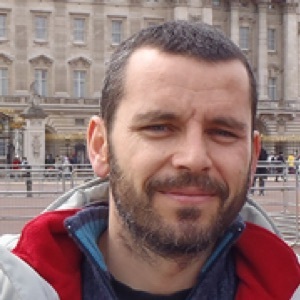 Eduardo Ferreira (elferreira@ua.pt) is invited assistant professor at DBio-UA and post-doc researcher at CESAM. His main research interests are: the conservation and management of wildlife; the application of molecular ecology tools in this context; and the interactions between socioeconomic development and environmental sustainability. He has several years of research experience with wildlife and conservation in tropical and temperate regions. His still young carrier includes four years of research (Brazil) and two years of teaching (Cape Verde and Mozambique) experience abroad, as well as a commitment with international collaboration (e.g. : Serbia, besides the above-mentioned countries). He is author/co-author of several scientific publications and communications, including two book chapters and 17 ISI papers. 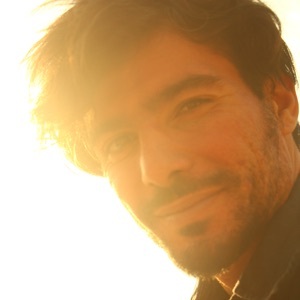 He has also collaborated in dissemination of science and environmental awareness to school community and general public, namely through his work experience at the Wildlife Research Unit and (formerly) in the Aveiro Ciência Viva Center (Fábrica da Ciência), his collaboration with NGOs (e.g. :ASPEA, Amigos do Cáster) and his activity as member of the Portuguese Herpetological Association. Pedro Beça (pedrobeca@ua.pt) has a degree in Electronic and Telecommunications Engineering from the University of Aveiro (2002), a Master’s degree in Electronic and Telecommunications Engineering from the University of Aveiro (2006) and a PhD in Information and Communication in Digital Platforms from the University of Aveiro and the University of Porto (2013). He holds the position of Auxiliary Professor in the Department of Communication and Arts at the University of Aveiro, since 2007. He is a member of the CIC.Digital - Digital Media and Interaction/DigiMedia Research Group, Aveiro branch. His areas of interest are: the use of mobile devices and participatory culture in tourist activities, particularly visits to museums; Web and mobile applications development, particularly in the conception, implementation and validation stages. 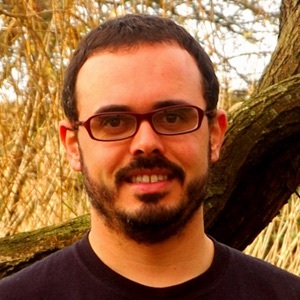 Pedro Amado (pamado@ua.pt) is an Auxiliary Professor in the Department of Communication and Arts at the University of Aveiro, where he works in the DigiMedia research unit. He has a PhD in Communication Science and Technology (2014) with the thesis “Active participation in the development of online communities”. 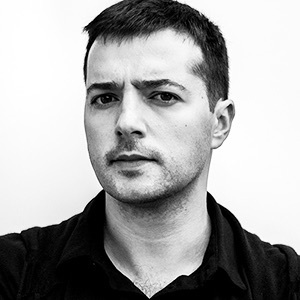 He devotes his research to Interaction Design, focusing on interface design and users’ participation and interaction through digital platforms. He has designed interfaces for websites of associations, conferences and online communication since 2003. 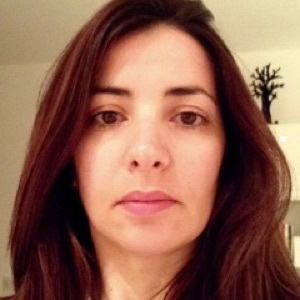 Maria João Antunes (mariajoao@ua.pt) is an Assistant Professor at the Department of Communication and Arts, at the University of Aveiro, Portugal. 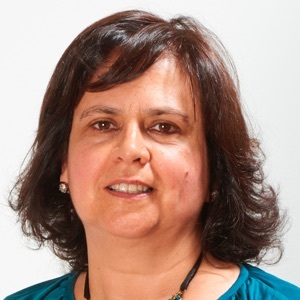 She was awarded her PhD in Sciences and Technologies of Communication (2007), and a degree in New Communication Technologies (1998) from the University of Aveiro. 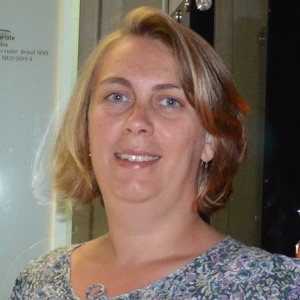 Within her current research activities she participates in projects and supervises masters and PhD students carrying out research on: the use of ICT to preserve audiovisual memory; increase of information and communication exchange between organisations and citizens/users; new media use in radio. Rosa Pinho (rpinho@ua.pt) is the curator of University of Aveiro’s herbarium since 1993. Her main working areas are the taxonomy of vascular plants, plant ecology and environmental education. She has delivered dozens of science outreach activities to schools and the general public, mainly about the Portuguese flora and nature conservation. She receives and guides around 600 students in the herbarium each year. She is author/co-author of several books (whole book or chapters), and science outreach papers in science journals, newspapers and magazines. She has participated in over 50 environmental impact studies, 3 environmental monitoring programmes, and 4 management plans of Protected Areas. She has developed projects in areas with abundant exotic flora (Public Forests, Parks and Gardens), highlighting the botanical coordination of the projects “Serralves GIS” and “Management Plan of Bussaco National Forest”. To study and disseminate flora and habitats and their importance is a major concern, thus she has participated in several science outreach programmes of the National Agency for Scientific and Technological Culture (Ciência Viva), UA’s summer schools (since 2002) and regularly contributes through science centres, lecturing and training schools about various ecosystems across the country. She has also participated in media/technology-based training projects such as www.biorede.pt portal; Interactive CDs: 1- Habitats Naturais (2005); 2- Chaves Ilustradas do Baixo Vouga Lagunar (2007). 3- Biodiversidade na Cidade (2008). 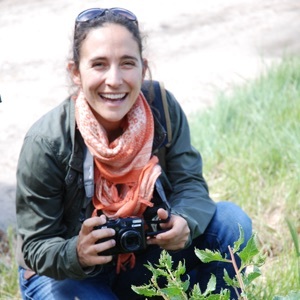 Lísia Lopes (lisia@ua.pt) is a Higher Technician at DBio-UA since 2008, and has participated in several research and outreach projects related with botany, taxonomy of vascular plants, nature conservation, ecology, environmental education, and phytosociology. In these scientific fields, she is also author/co-author of science papers, multimedia products and books, such as: Descobrir as plantas nos seus Habitats (Plátano Editora, 2003); Eucaliptos Centenários da Quinta de São Francisco (RAIZ, 2006); Folhas, Flores & Frutos (Fundação Serralves, 2005); Património Histórico e Botânico do Fontelo. Um contributo para Atividades de Educação Ambiental em espaços urbanos (Câmara Municipal de Viseu, 2009); O Ensino das Ciências e a Educação para o Ambiente em Espaços Urbanos: um contributo para a sua preservação e valorização (Capitulo 19. Instituto Piaget, Viseu, 2005); Helping teachers to use urban natural areas for environmental education (Instituto Piaget, Viseu, 2003); Multimedia CD: Diversidade Vegetal - Habitats Naturais e Chaves Ilustradas (identificação das plantas do Baixo Vouga Lagunar). Universidade de Aveiro (2005, 2007). She is a certified trainer since 2009 and has delivered advanced courses such as “Experimental science teaching: initiation laboratory techniques in plant cytology to obtain final preparations of the various phases of cell division: mitosis and meiosis”, and several botanic courses. João Carvalho (jlocarvalho@gmail.com) is a PhD student at DBio-UA , CESAM and Servei d' Ecopatologia de Fauna Salvatge (SEFaS), Universitat Autonoma de Barcelona (UAB). His research is a blend of applied ecology and software. He has a broad range of interests related with wildlife management, population dynamics and epidemiology. He is author/co-author of peer-reviewed papers, articles and more than 30 communications in national/international scientific meetings. He has participated in environmental impact studies and monitoring plans collaborating with municipalities, NGOs and national/international companies. Since 2011, he hosts Ciência Viva activities aiming the spread of science through students and the general public. In the academic year 2013-2014, he was given the title of invited assistant professor at the Geography Department of the University of Porto teaching statistics and geographical information systems. Currently, he has a PhD grant from Fundação para a Ciência e Tecnologia to evaluate the role of bottom-up processes in population dynamics and diseases prevalence/severity in wild ungulates. Armando Alves (armandoalves@ua.pt) is an environmental scientist passionate about sustainability and environmental protection. He is fascinated by Earth's remarkable biodiversity, dynamic equilibrium and resilience. With several years of work experience, Armando has participated in several projects including environmental education, science communication, nature conservation, project management and business & biodiversity partnerships. He is a certified trainer and has participated in dozens of indoor and outdoor science activities with schools and the general public. André Couto is a research fellow at DBio-UA and CESAM, where he graduated with a MSc in Applied Ecology in 2015. His main research interests are wildlife ecology and conservation, with a focus in herpetofauna. 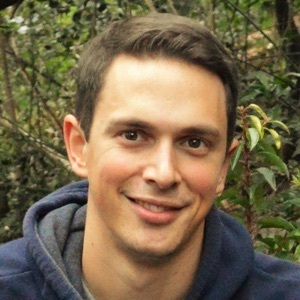 He has worked in temperate and tropical ecosystems studying environmental and anthropogenic effects on amphibian populations, with published results and presentations in science meetings. He has experience in wildlife assessment and nature photography, collaborating in several projects dealing with monitoring and conservation since 2008. Maria Inês Silva finished her degree in Biology from the University of Aveiro in September 2004. In 2004 she began working as a collaborator for the Botanical Garden - National Museum of Natural History in the Criptogamic collection. In June 2009 she completed a Masters in Ecology from the Faculty of Science and Technology at the University of Coimbra. Since 2005 her professional activity has focused on projects on Collections of Natural History and History of Science, in institutions such as the Museum of Science (Coimbra), Herbarium of the University of Coimbra, Herbarium of the University of Lisbon and Institute of Tropical Investigation (Lisbon) with the main emphasis on the taxonomic revision, synonymization and construction of databases for various plant groups. Since April 2016 she has been working on the survey of vascular plants in the Municipality of Lousada. Rafael Marques is a research fellow at DBio-UA and CESAM, where he graduated Biology in 2016. His research interests are wildlife monitoring and conservation, with the main focus on botany, science communication and environmental education. He has worked and collaborated on several projects of wildlife conservation, flora monitoring and assessment, science communication and environmental education. He has experience in flora identification and nature photography and is co-author of an identification guide of pteridophytes of Lousã Mountain. He has also worked as scientific guide in some Ciência Viva activities, protected and other natural areas, engaging schools and general public in nature conservation.